Marcus Collins is an advertising executive and a translator of culture. 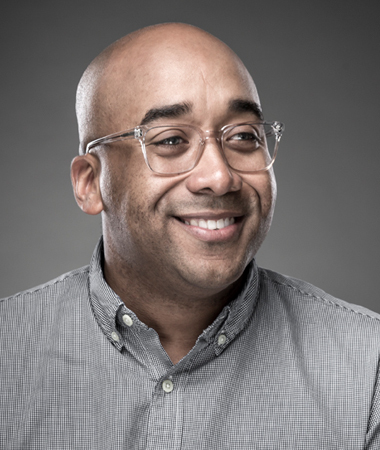 As a recipient of Advertising Age’s ’40 Under 40′ award and Crain’s Business Detroit ’40 Under 40’ award, Marcus serves as the Chief Consumer Connections Officer at Doner advertising where he helps brands create culturally contagious ideas. His strategies and creative contributions have led to the success of PotBelly’s ‘Feed Your Smile’ campaign, Budweiser’s ‘Made In America’ music festival, the launch of the Brooklyn Nets (Hello Brooklyn! ), and State Farm’s ‘Cliff Paul’ campaign. Before Doner, Marcus built and led the social practice at Steve Stoute’s full service agency in New York, Translation. Before advertising, he led iTunes + Nike sport music initiatives at Apple and ran digital strategy for Beyoncé. Beyond the boardroom, Marcus is also an award winning faculty member at the Ross School of Business, University of Michigan, as a Golden Apple Award nominated lecturer of marketing and Co-Director of the Yaffe Digital Media Initiative. He holds an MBA with an emphasis on Strategic Brand Marketing from the University of Michigan, where he also earned his undergraduate degree in Material Science Engineering. He is a proud Detroit native, a devoted husband, and loving father.